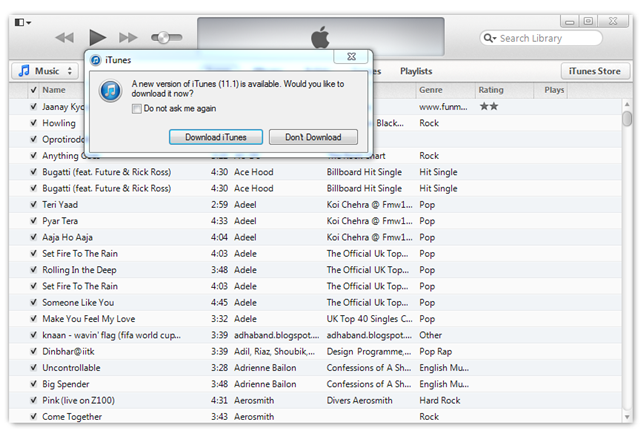 Connect your iPhone/iPod/iPad to your PC or Mac and launch iTunes – you must be on v11.1 otherwise this will not work. Navigate to Device Summary and select the device that is connected. Press the Shift (Alt/Option for Mac) key and click Update in iTunes simultaneously. Follow us on Twitter, Facebook and subscribe to our newsletter to stay up to date with the latest news. Image : Sneak preview of Cydia on iOS 7 running on an iPhone 5. This is made possible using jailbreak through Evasion Tool made by team Evad3rs . For more , Subscribe to our Free Newsletter and follow us on Facebook and Twitter.